Adelaide schoolchildren are being introduced to 3D-printing by an innovative startup called Makers Empire. Maker’s Empire “builds tablet-based apps that empower kids to build, create, and design in 3D” tapping into the increasing use of tablets in primary classrooms. Cleverly Makers Empire are backing this up with lesson plans that explicitly fit into the new Australian Curriculum. Instead of educating children about the most revolutionary technology of their young lifetimes, we have focused on training them to use obsolescent software products. And we did this because we fell into what the philosopher Gilbert Ryle would have called a “category mistake” – an error in which things of one kind are presented as if they belonged to another. We made the mistake of thinking that learning about computing is like learning to drive a car, and since a knowledge of internal combustion technology is not essential for becoming a proficient driver, it followed that an understanding of how computers work was not important for our children. Now 3D printing is a long way from obsolete technology, but I’d be far happier to see the kids struggling with Tinkercad than having something neat and packaged served up to them. 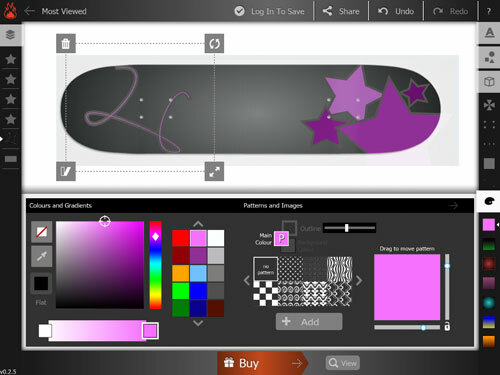 Maker’s Empire’s first app allows the kids to design a skateboard deck; which can then be purchased, and that’s presumably where the money comes from. The problem there is that I wouldn’t really see that as 3D-printing – it’s very much creating a 2D design on a 3D object. It’s also an object that is made in, and delivered from, the USA – which removes the wonderful immediacy of seeing something 3D-printed. You get the sense that the very smart quartet behind Maker’s Empire are aiming higher than this and I really hope they bring it off. Educational start-ups like this are really changing the landscape of opportunities available to our children. But equally I hope that the kids using this don’t walk away thinking that creating a design to go on a skateboard is what 3D-printing is all about. They should be walking away with the idea that they can create the world around them, that inventions can be made real, that they can come up with something in their head and then see it being made in front of their eyes. And to be fair to Makers Empire, who I hope do well, maybe they will. For all the details on Maker’s Empire, see their website.